You may not have heard about this, but the UK is in the process of leaving the European Union, with the move dubbed “Brexit”. It’s all been very low key. 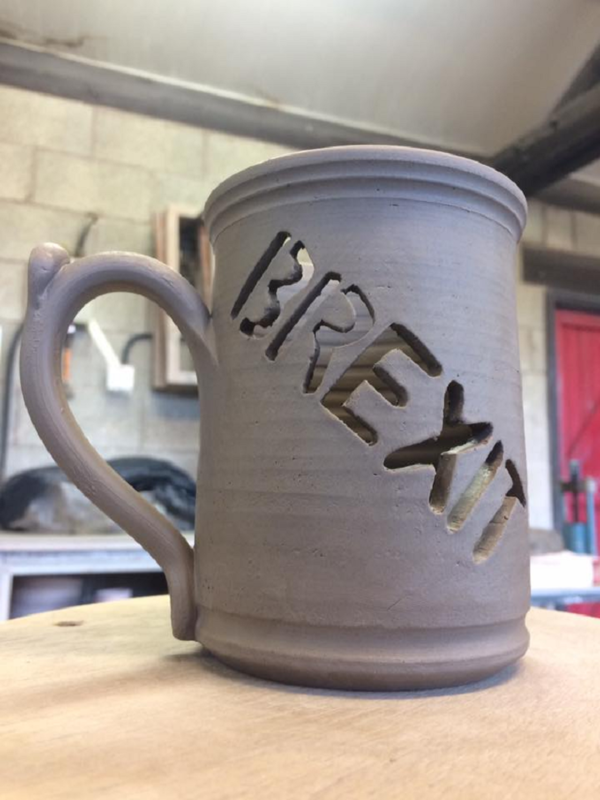 One witty pottery company, Bentham Pottery, posted a picture of a mug they’d made in honour of Brexit. Although not intended for commercial production, the mug made its way onto Twitter, where a few people shared the stunning mix of skill and satire. Underneath one such tweet, a beautiful little thread developed, encapsulating the spirit of what we know about Brexit. This was the tweet that started it. These 11 replies tell it like it is. If it spills your tea, it's not the fault of the mug. It's because you didn't get behind the mug and truly believe in the mug's ability to hold tea. This is pointless. My tea would obviously leak out of it. How has nobody spotted this? Project fear! I strongly believe more tea will flow in through the holes. Perhaps unicorn tea. You could pour the whole pot into it and it would never overflow. We will be the envy of the world. Unlimited tea for all ! It’s designed to work with an offshore container as an insulating liner. What – you don’t have one?